As many of you probably already know, I LOVE Bibles! I don't just mean I enjoy reading the Bible... but I truly enjoy collecting them too. There are so many great translations, so many great varieties (journaling, study, devotional, bibles for the mom, etc). With so many different options out there, there really is a unique Bible out there for everyone. Today's teen girl needs reassurance that no issue is too big for God. 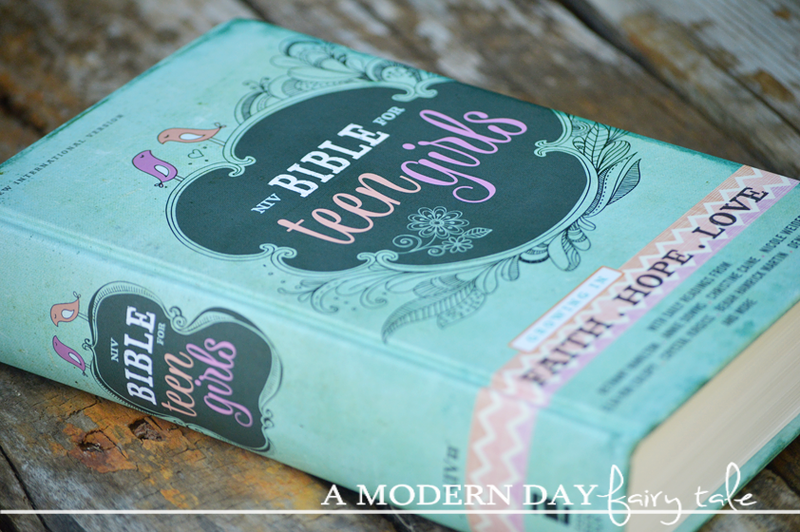 The NIV Bible for Teen Girls, designed specifically for girls ages 13 to 18, will do just that. This Bible is packed with daily readings, highlighted promises of God, challenging insights, smart advice, and open discussions about the realities of life. 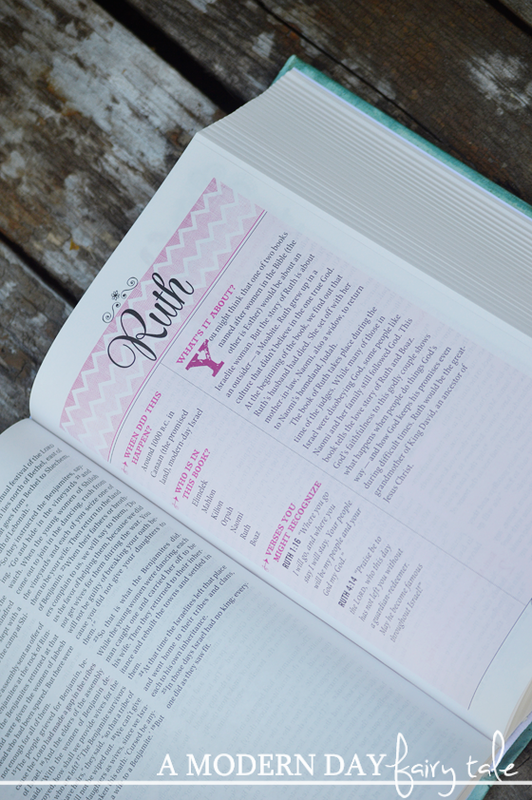 This Bible is designed to help teen girls grow in faith, hope, and love. It is as sincere about a teen girl's walk with God as they are, helping them discover his will for all areas of their life, including relating to their family, dealing with friends, work, sports, guys, and so much more. First and foremost, this Bible is gorgeous! I love this beautiful bird/doodle design. Oh, I know... never judge a book by its cover and all that, but let's be honest- teen girls do tend to enjoy pretty things! I know I certainly did! (Okay, I like pretty things even NOW!) Perhaps the first step in getting some teens to WANT to read their Bible more is to give them something a little more appealing. This Bible certainly has that. And it doesn't stop there. 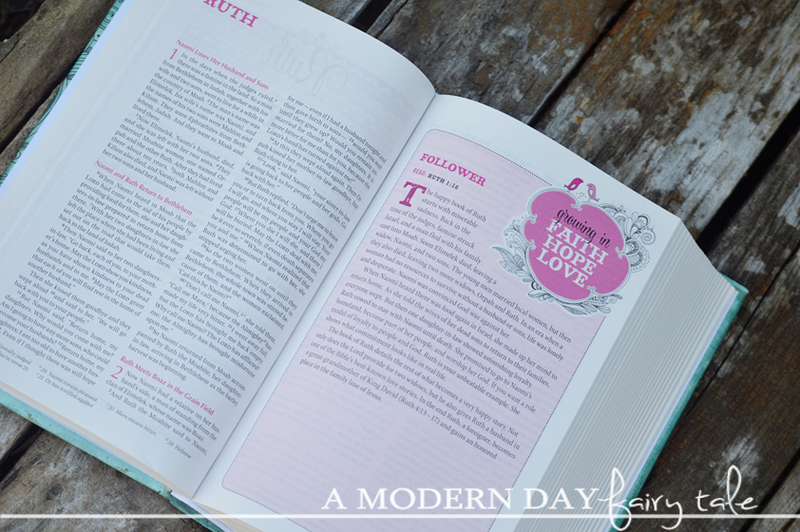 The beautiful design carries on throughout the pages with fun features like Women in the Bible, or deeper looks into select passages to help teen girls grow in faith, hope and love. Each book starts out with a fantastic introduction giving readers the chance to see the when, the who and the what to give them a greater understanding of what they are about to read. Important for Bible readers of any age! Perhaps one of my favorite features (aside from the design, of course) is the topical index. This is something that I find useful even now, but did even moreso as a teenager. Dealing with peer pressure? They can easily look it up and find a selection of verses fitting for the topic! This truly is a wonderful Bible that I wish I'd had as a teenager myself. If you're looking for a great Bible for the teenage girl in your life, this is certainly a must see! If I were to win this it would be a gift to a friends daughter who is 15 and just recently saved. I would give it to my grand daughter if I won. I would love to win this Bible for my daughter, it looks like a great Bible for young women. I have a teenager that I think would like this. My middle daughter has a birthday on 11/21, she will be 13! This would be perfect for her, she has been wanting a new, more grown up Bible, Thank you!